The GSS program continues to grow. In the Gulf of St Vincent, SA, Phase 1 of building the 20 ha Windara Reef began in 2017, and planning for Phase 2 commenced; In Port Phillip Bay a 1.2 ha reef was seeded with nearly 2m juvenile oysters. Funding continues to flow to the project. The Port Phillip Bay Biodiversity Fund committed $700,000 to reseed existing reefs and search for further remnant reefs; The WA Recreational Fishing Initiative Fund committed $150,000 to the Oyster Harbour project, and the WA Government a further $1m; the Alcoa Foundation committed $600,000 to a new project in the Peel-Harvey Estuary in WA which will include a shellfish restoration feasibility study. Meetings were hosted of the National Shellfish Reef Restoration Network, including an international conference in Feb 2018, and the National Estuaries Network in Geelong. As important sub-sets of the GSS program, policy initiatives continued around the Blue Carbon economies in SA, WA and Victoria, and the listing of shellfish ecosystems under Australia’s EPBC Act and the IUCN Redlist. There has been sustained and positive media interest in the program and Government support for it. Thomas Foundation chairman David Thomas said that growth of the GSS program and the broadened emphasis it has brought to TNC’s Australia program gave him enormous satisfaction. In an Australian first, three sites have permit approvals to trial approaches for restoring shellfish reefs as part of a partnership between The Nature Conservancy, the Victorian Government and Albert Park Yachting and Angling Club. 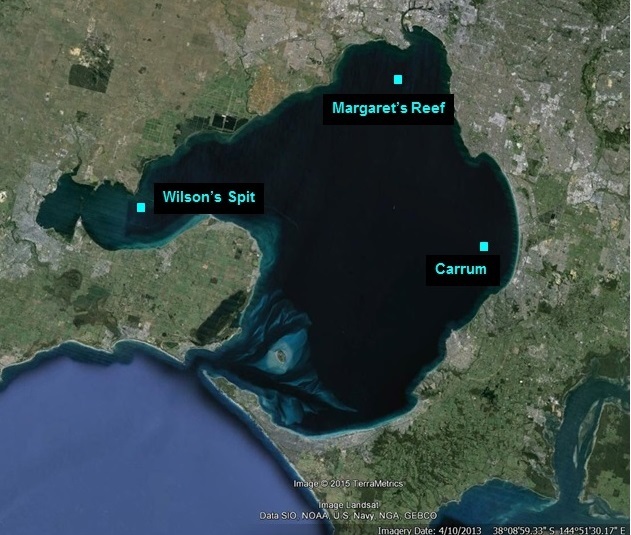 Currently, Wilson’s Spit and Margaret’s Reef are the first two sites with native oysters and mussels on the seabed. The Great Southern Seascapes mission is to spark a revolution in marine conservation and the blue economy by scaling-up restoration of coastal habitats in bays and estuaries across southern Australia. To achieve this, TNC has established the national Shellfish Reef Restoration Network. As well as deploying over six tonnes of shells in Port Phillip Bay, it has established restoration sites in Oyster Bay in Western Australia and in the Gulf of St Vincent in South Australia Harbour. In the Noosa River it has conducted two studies to confirm the feasibility of shell fish reef restoration, and commissioned a study of the historic presence of marine species in the system. A description of the South Australian project was published in The Conversation on 28 June 2017 (‘Huge restored reef aims to bring South Australia’s oysters back from the brink’). In the article it was described as the largest oyster reef restoration project outside the United State with here some 18.000 tonnes of limestone and 7m baby oysters set to provide the initial foundation of a 20-hectare reef. 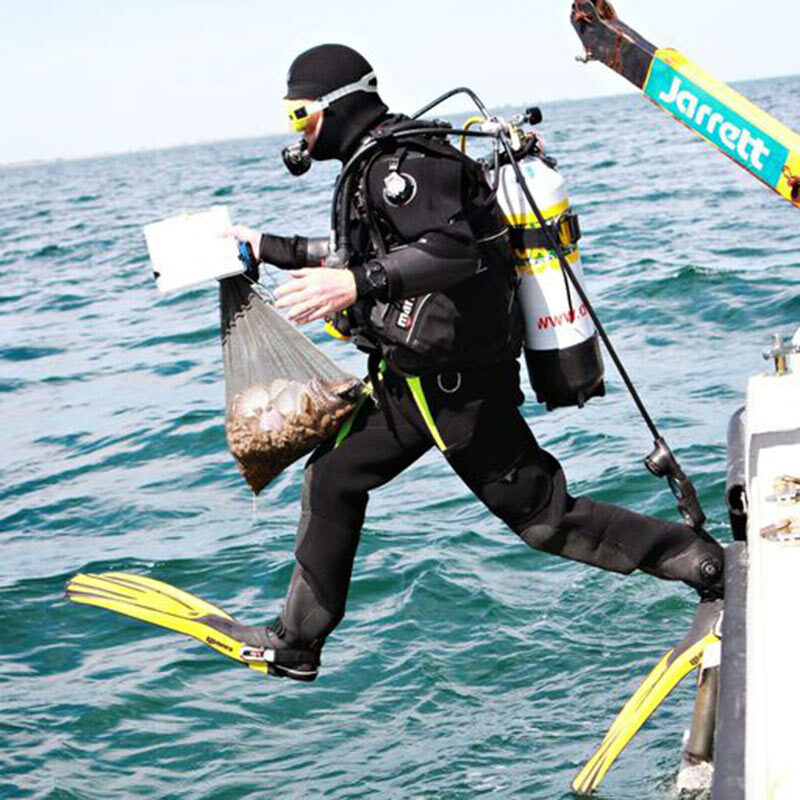 A diver takes a bag of oysters that are going to be placed on the shellfish reef test plot.